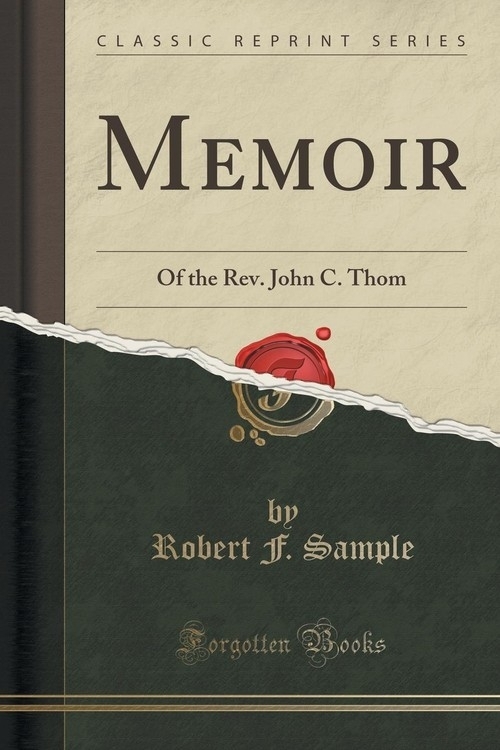 Opis: Memoir - Sample Robert F.
The memories of even bad men may be useful in warning us against their errors and their doom. So mankind generally judge. So inspired writers have decided, by sketching the history of not a few, who were a curse and not a blessing. Much more may the biography of good men be profitable in instructing us in a way that is good, and in inciting us to seek for glory, honor, and immortality. The subject of the following memoir was a very good man. Perhaps no one, who knew him, will hesitate to give a hearty assent to this statement. Nor should his early death hinder the publication of his memoir. Some men die old in experience and usefulness at thirty years of age; while others, who live twice as long, seem to have lived in vain. Szczegóły: Memoir - Sample Robert F.
Recenzje: Memoir - Sample Robert F.